Do you want to allow a certain company to operate table games and/or slot machines in York County, subject to state and local approval, with part of the profits going to the specific programs described in the initiative? It is just another in a string of dishonest ploys from the group behind the ballot question, which would award a license to operate a casino in York County to only one person, Shawn Scott, who has a long list of legal troubles. Scott was the man behind the successful referendum in 2003 that paved the way for a racino in Bangor. He walked away with $51 million after selling his interest in Bangor Raceway to Penn National Gaming Inc.
Now, he’s back and trying to make even more money through Maine voters. Maine voters must reject this gambit by voting no on Question 1. As we have written numerous times, Maine should have long ago established a framework for any new casinos in the state. It would have set licensing standards, tax rates, gaming regulations and formulas for dispersing revenue. It could direct a developer to devote a certain percentage of square footage to non-gambling activities, such as conference rooms, concert venues and hotel rooms and require a set amount of upfront investment in a casino project. This could have saved the state from self-interested referendum campaigns such as this one. This referendum was troubled from the start. In March 2016, Secretary of State Matt Dunlap rejected more than half the signatures the group had gathered; 16,000 signatures couldn’t be certified as being from registered voters. The group behind the casino effort, Horseracing Jobs Fairness, challenged Dunlap’s decision in court. It was upheld by a judge. 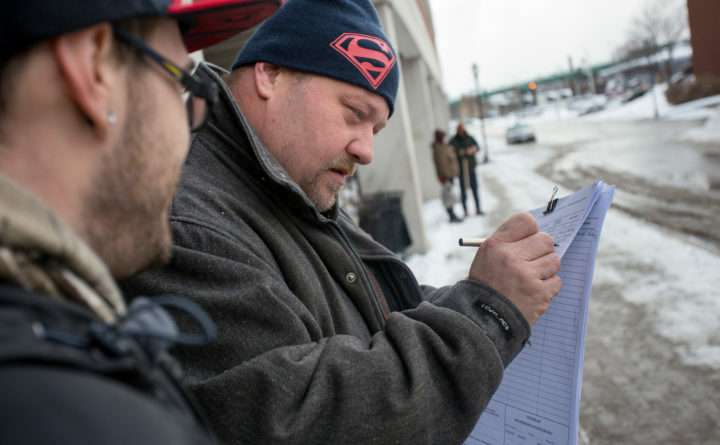 The group then gathered more signatures, paying signature gatherers as much as $10 per signature, an astronomical sum. The Maine Ethics Commission is currently investigating the campaign’s complex web of financing, which appears to come primarily from groups associated with Scott’s sister. A lack of clarity, and timely reporting, of campaign funding sources is a violation of Maine law. The investigation was requested by the chairmen of the Legislature’s Veterans and Legal Affairs Committee, which oversees gambling. “This is corruption almost at its highest form,” said Sen. Garrett Mason, R-Lisbon, the Senate chairman of the committee. The Legislature’s Government Oversight Committee is also looking into the campaign. No one from the Yes on 1 campaign attended the committee’s Wednesday meeting to answer committee members’ questions, although they had been asked to. Backers of the casino tout its potential to create jobs and to raise money that can be used to reduce property taxes and fund schools. Any large development will have those benefits, and we’re not convinced the York casino would be a net gain for the state. The gambling market in Maine is only so large, so a new casino in York County would draw gamblers — and money and jobs — away from the five-year-old casino in Oxford, an area with a much higher need for jobs and investment than York County, and Hollywood Casino in Bangor. “Question 1 on the ballot this November is not a referendum on funding our schools. It is not about creating new jobs or lowering taxes. Make no mistake: it is about putting a third Maine casino in York County. It’s about gambling, plain and simple,” Gov. Paul LePage said last week in his weekly radio address. And, plain and simple, this gambling scheme is bad for Maine and should be rejected by voters.